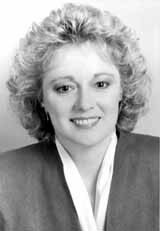 Lawrenceburg, Kentucky native and Anderson County High School graduate Elaine Duncan earned the Bachelor of Science in Mechanical Engineering from the University of Kentucky in 1974. She was an officer in the American Society of Mechanical Engineers, a member of the Society of Women Engineers and Pi Tau Sigma honor society. In 1984 she earned a Master of Science in Mechanical Engineering from the University of Minnesota while working full time at 3M Corporation. While attending UK, she worked for several months at the Wenner-Gren Biomedical Research Laboratory. This experience was to have a profound impact on the direction of her engineering career. Since that time, Ms. Duncan has focused her professional aspirations in the area of biomedical engineering and has acquired broad development experience in diverse areas, including artificial hearts, vascular grafts, and disposable sterile products. At 3M Health Care Group, St. Paul, Minnesota, Ms. Duncan was responsible for new product development and new technology assessment. She worked in diverse development and acquisition teams. She completed the successful integration of a number of implantable devices into the 3M product line, as well as development of a disposable wound drainage system. She was awarded two United States Patents for this work. She joined Kolff Medical, Inc. (Symbion, Inc), Salt Lake City, Utah as Director of Regulatory Affairs and Quality Assurance during the first human implant trial for the JARVIK-7 artificial heart in 1982. At Kolff she oversaw the clinical programs and regulatory submissions for the JARVIK-7 artificial heart and the Utah cochlear prosthesis. She developed the surgeon implant training program for the artificial heart and assisted in taking the company through its initial public stock offering. Her analysis of the failure modes of the Bjork-Shiley valve in the JARVIK-7 played a supporting role in FDA and Congressional investigations, leading to the retrieval of the faulty valve from the marketplace. Ms. Duncan subsequently held successive senior officer positions with Possis Medical Inc., Minneapolis, Minnesota, as Vice President of Research & Development, Vice President of Product Quality Assurance, and Vice President of New Ventures. The Possis venturi-vascular graft is the only synthetic vascular graft approved in the United States for coronary by-pass reconstruction when the patient has no alternative natural blood vessels. The mock-circulatory loop she designed and the resultant coronary circulatory modeling data led to design enhancements and documentation of engineering performance that subsequently supported FDA approval. Professionally, Ms. Duncan has served in many positions of leadership for over twenty years in the Society for Biomaterials. She is a member of the Association for the Advancement of Medical Instrumentation, American Society for Testing and Materials, Surfaces in Biomaterials Foundation, Biomedical Engineering Society, the Regulatory Affairs Professional Society, ASAIO and Medical Alley. She is editor emeritus for the publication Biomaterials Forum, and serves on the editorial review board for the Journal of Biomedical Materials Research. She is a Certified Regulatory Affairs Professional (RAC) by the Regulatory Affairs Professionals Society. In 1992, Ms. Duncan received the Medical Alley’s Outstanding Contribution to the Healthcare Industry Award, and in 1999 the C. William Hall Award from the Society for Biomaterials. She has published numerous articles and frequently presents seminars in the fields of biomaterials, medical device development and regulation. She has served as an advisor to the UK Center for Biomedical Engineering and the University of Minnesota Biomedical Engineering Program . In 1987, Ms. Duncan founded Paladin Medical, Inc., a consulting company specializing in regulatory/clinical strategies for new medical technology development. Paladin Medical offers a full range of medical product regulatory, clinical and technical contract services to the medical device industry. Her free time is spent with the landscaping and perpetual remodeling of her solar home (which she designed and built as a result of her Master’s degree project). Ms. Duncan enjoys boating on the St. Croix River , vacations, and time with her family and pets.